Polybius was a Greek statesman and political prisoner of Rome in the second century b.c.e. His Histories provide the earliest continuous narrative of the rise of the Roman Empire. 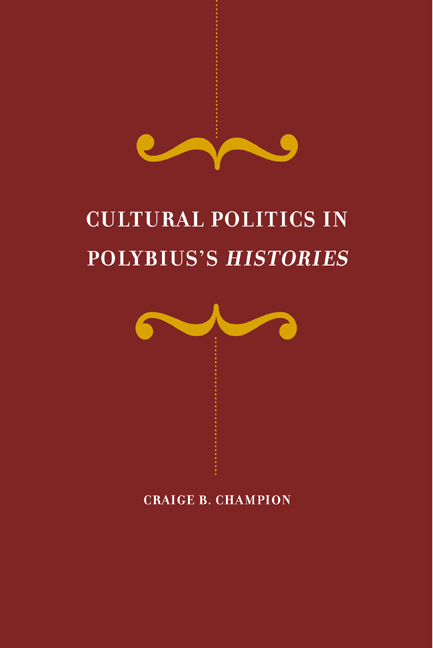 In this original study informed by recent work in cultural studies and on ethnicity, Craige Champion demonstrates that Polybius's work performs a literary and political balancing act of heretofore unappreciated subtlety and interest. Champion shows how Polybius contrived to tailor his historiography for multiple audiences, comprising his fellow Greeks, whose freedom Rome had usurped in his own generation, and the Roman conquerors. 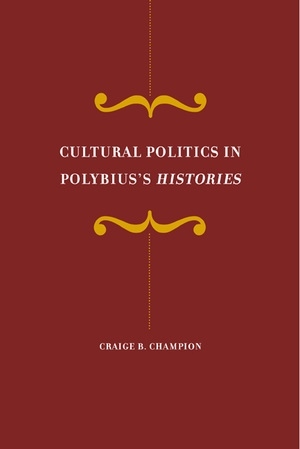 Champion focuses primarily on the ideological presuppositions and predispositions of Polybius's different audiences in order to interpret the apparent contradictions and incongruities in his text. In this way he develops a "politics of cultural indeterminacy" in which Polybius's collective representations of political and ethnic groups have different meanings for different audiences in different contexts. Situating these representations in the ideological, political, and historical contexts from which they arose, his book affords new and penetrating insights into a work whose subtlety and complexity have gone largely unrecognized. Craige B. Champion is Associate Professor of Ancient History and Classics in the Maxwell School of Citizenship and Public Affairs at Syracuse University.